I’m using this inaugural post of my blog, oilsandspoils, to set the tone for this and future posts and to share the first of several health and wellness tips. I try to be a positive person, but with all that’s going on out there, it can be challenging. So, I want oilsandspoils to be a positive, happy place where we can discover new things, share experiences and leave with a smile on our faces. A few housecleaning items: I am a Young Living Essential Oils Distributor; however, not all my blogs will be about essential oils. I am also a writer and jewelry maker. I collect vintage jewelry. I sell both handcrafted and vintage jewelry. I support local businesses. Now onto Pulling Out The Negativity – There are many posts about the benefits of oil pulling, but I was skeptical. It was my friend, Jim ,who convinced me. He and his wife, Peggy, own Epicurean Olive Oil Co. at The Avenue in Murfreesboro, Tenn. He said oil pulling was good for whitening teeth and getting rid of the bacteria that hides in your teeth and gums. I thought Jim’s teeth looked pretty good, and he’s a coffee drinker, like me. 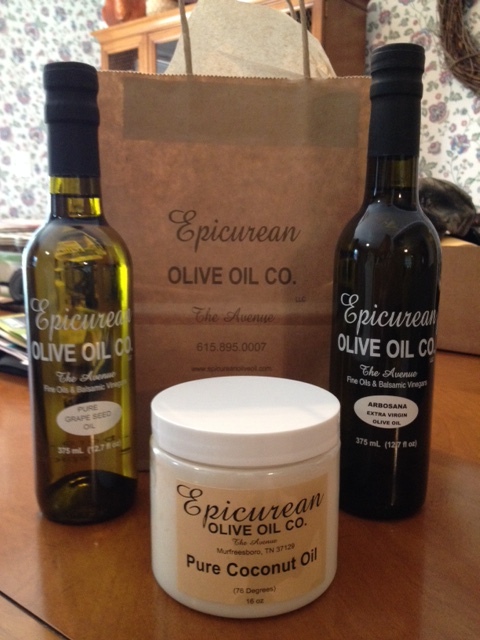 What sold me on trying it was the Pure Coconut Oil that Epicurean Olive Oil Co. offers. You can use organic coconut oil, found in grocery and drug stores, but I prefer Pure Coconut Oil because it’s odorless, tasteless and smooth. Every morning before I get in the shower, I take a tablespoon of Pure Coconut Oil and put it in my mouth. The coconut oil will melt after a few minutes, making the task of swishing it around and pulling it through your teeth much easier. I give my two little terrier-ists the leftovers from the spoon, as coconut oil can benefit dogs, too, with their coats, digestion and other things. My husband says I take a 20-minute shower, which allows ample time for oil pulling. When done, I spit the coconut oil into a plastic bag and throw it away, as coconut oil can clog drains when it re-solidifies. Some of my friends add essential oils to their coconut oil, melting the two and shaping them in candy molds or cutting the re-solidified mixture into cubes, and store the pieces for use in a jar. 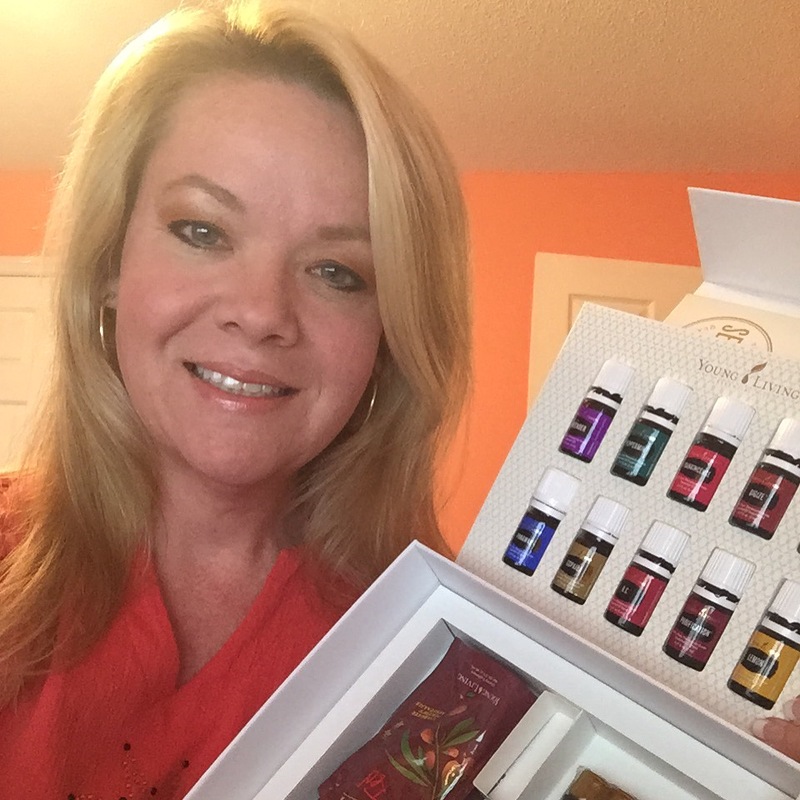 I had been oil pulling for several weeks when I took a cheesy selfie with the hopes of winning a collection of essential oils. The first thing I noticed after posting it was how white my teeth were! I also kind of crave the coconut oil in the morning, and I can’t wait for my next dental checkup. I’ll let you know how that goes. In the meantime, just as I continue the daily task of pulling the bad bacteria out of my mouth, I will also continue to pull the negativity out of my life. I hope you’ll join me on this journey. Went to the dentist today and was told my teeth were very clean and asked what was I doing differently, was I flossing every day? No, guilty smile, I started oil pulling with pure coconut oil a couple of months ago and either using Thieves essential oil blend toothpaste or a drop of Thieves on my regular toothpaste. The great checkup is significant for another reason: I hadn’t been to the dentist in a year. No dental insurance. Hi, All, I wanted to share a recent review on coconut oils that might be of interest: https://www.reviews.com/coconut-oil/. Epicurean Olive Oil Co.’s coconut oil, which I still use every day for oil pulling, was not one that was tested, but you will likely recognize some of the the other brands that were. The review explains the difference between refined and virgin coconut oil and which companies employ fair trade practices.